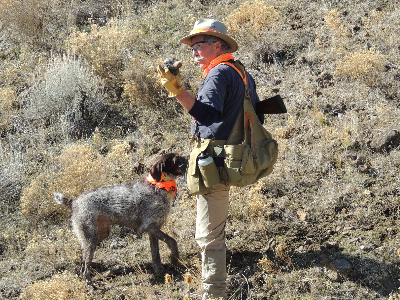 Scott Linden and I started up the hill; his two-year-old German wirehair, Manny, led the way. It was the first of February, a day better than we had any right to expect, under blue skies, headed toward a high of 56 degrees in the ranchland south of the Eastern Oregon town of Heppner. There was little wind, but the dog caught a tendril of scent and began to cut back and forth until he locked, pointed up the hill. When Scott walked in, the bird rocketed out of the cliff wall. Scott swung, fired and the bird punched into the hill. Manny tracked it with his eyes and plunged down the hill. Oregon’s regular bird season had ended the day before. Here, on Ruggs Ranch, a licensed bird hunting preserve, the season was still on for pheasants, chukar and Hungarian partridge. Instead of planting birds the day of the hunt, Ruggs releases game birds in April and September and works to grow enough cover to attract and hold them throughout the year. It appeared to have the seal of approval of a number of raptors. On top of the hill a golden eagle coursed low along the ground. We watched to see if he would spot a bird. He didn’t, we turned and headed over the hogback and into the next canyon. As soon as we topped out, we headed down toward a patch of teasel and hawthorn. Roost cover. Manny locked up in the bottom, his nose pointed into the rock. At the flush, Scott swiveled and shot the bird as it crested the top of the ridge. As soon as Manny brought it back, he pointed another and this one I managed to hit. 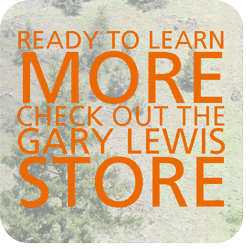 We climbed another draw then stood above a jagged gash in the landscape choked with sagebrush. Manny dived in and huns and chukar popped out below us like corn on a hot skillet. We were too far away to do anything but watch. We were almost all of the way to the bottom when Scott pointed back uphill. Manny was locked up with his nose pointed at a tuft of grass. “Trust the hunte r with the long nose.” Linden says. Back up the hill on the double, I paced myself to get there before the bird got nervous. I was chin-high-even with the dog when the bird erupted out of the grass. Time slowed down. The bird was six feet over my head; I swiveled on my heel, focused on the streaking orange collar, the eye, the beak and let him put some distance between us. It was like there was a string between my bead and the bird; I was conscious of the gray shot string coming out of the barrel; the bird folded and tumbled. After lunch we made a drive with a dozen springer spaniels and a lab and jumped huns and pheasants in a triangle of triticale and rye. Thirty minutes before dark I went back out with Dave Ford, armed only with a camera, on the scout for the next day’s hunt. We heard their calls from the canyon walls. We saw it happen on the last point of the morning. Linden had pulled his older dog, Buddy, out of the truck and we worked again the rim rock we had hunted first. Buddy found some scent where we thought there were no birds. He pointed then he pulled back. He walked in a ten-foot square, his nose twitched, his head swiveled side to side, then he locked up again. I walked in, the shot was mine and I missed it. Huns have an understated beauty with wings of white and mottled brown that allow the bird to hide by holding still. A pastel-grey on the breast blends on the head with shades of brown or orange. Their eyes are surrounded by a pencil-thin border of red. Flanks and breasts are splotched with markings of chocolate. I had four empty hulls and two spent partridges to show for the morning’s effort. Linden had a brace of his own. We would add to our bag in the afternoon, but nothing was said about getting a limit.